This weekend Wetsyle, a Montreal-based manufacturer of premium bath furnishings, is introducing their new W2 brand at the International Contemporary Furniture Fair (ICFF). The W2 brand will include 3 free-standing tubs, 2 of which are designed to fit within the footprint of a traditional soaking tub alcove 60″ long x 30″ deep. 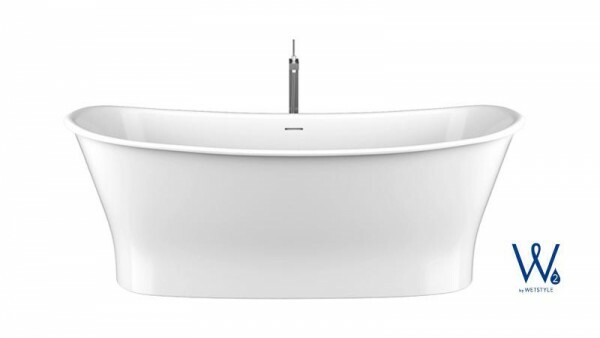 This is such great news for remodelers who struggle to find stylish tubs under 60″ in length. Another great feature I like about the tubs is the hidden overflow drain. The new tubs are made by hand with WETMAR BIO, a proprietary stone composite material that is slip resistant with natural insulating properties. The W2 Wave Tub is inspired by a gently rolling ocean wave. 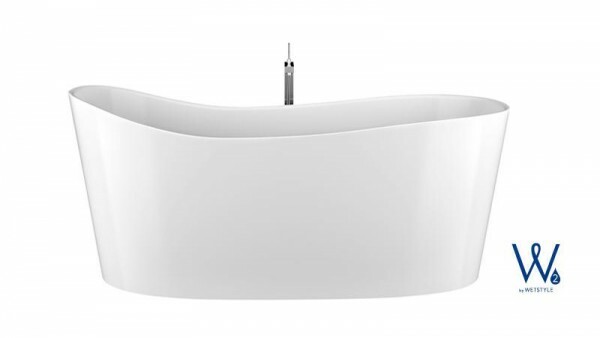 The elegant lines of this tub will work in both Transitional and Contemporary Bathrooms. 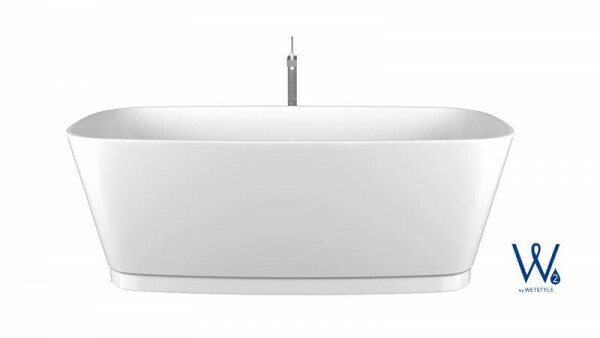 The W2 Straight Tub features tapered lines and rounded corners for a more modern profile. The W2 Cloud Tub, the largest of the three, has a delicately rolled rim and beautiful lines that give it a timeless transitional look. Incorporating the optional base transforms this tub into a traditional statement piece. Leather bathtub from THG Paris. pedestal sink is also available.